Thanks for coming to the Herbal Healer! This store will provide you with where you can find those nutritional supplements, natural skin moisturizers, vitamins, and much more. But please note: Please make sure you check with your physician before adding or removing anything from what your doctor has prescribed. For your convenience, each item has the manufacturer and distributor listed you can be sure you are getting just what you are looking for. Also, there is a good possibility that the same item may appear more than once so you can do a little comparative shopping. Check back often as we will try to adjust what is on hand based on what you tell us you are looking for. So please feel free to use the Contact Us page and tell us what's missing. The only way to make this the best it can be is with your input. This is only a partial listing of the complete inventory that the e-stores carry. To show everything they have across the different stores in one place would become quickly unwieldy and unsearchable. BUT, you can still find exactly what you are looking for quite easily. In each block there is a line that says “store” with a name next to it in a hyperlink. By clicking on the name, you will be taken to the actual online store. The online store’s website should open in a separate window with this site remaining underneath. There you can search for EXACTLY what you are looking for as all of these sites have a search box on their home page. One more suggestion: Even after you find what you are looking for at one store, take the time to come back to this site and click on another store so you know you got the best price. What you will find is that every store will have something different on sale. If you are a coupon or deal shopper, you will now find the latest deals and coupons from our various partners. The coupons/deals will not just be herbal healer related, but across the e-store. In addition, there is a search box that will help you locate a specific deal or coupon for what you are looking for. If a code is needed, click on the box, and it will reveal the code and take you to the store. If no code is needed, simply click on the box, and a new window will open for the store. Not the stuff you are looking for? 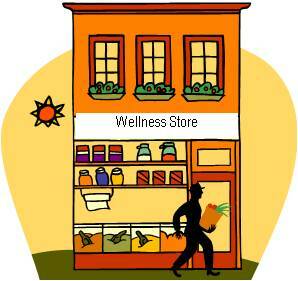 Looking more for books on the subject of natural healing and nutritional supplements? Well you might want to check out the Herbal Books Store, which has a broad range of books on these topics.